Ian is a partner with Blaney McMurtry who practices in two distinct areas of the law, civil litigation and immigration. The civil litigation area of his practice involves both insurance defence work and commercial litigation. In the insurance defence area, Ian handles a broad variety of cases such as matters involving errors and omissions policies for professionals. He also handles a wide variety of general liability claims, as well as product liability claims. He has also handled directors and officers claims, property claims and has provided coverage opinions. His commercial litigation practice includes breach of contract cases, claims involving real estate developments, shareholder oppression remedies and injunctions. The focus of Ian's immigration practice is business immigration, including obtaining work permits and permanent status for employees who are needed in Canada, permanent status for professional, entrepreneurial and investor class applicants. Ian has had some considerable success handling difficult cases. He has written articles in both the civil litigation and immigration areas and has lectured and served as a panel member for both the Law Society of Upper Canada and the Canadian Bar Association in both civil litigation and immigration matters. Ian is recognized by the Lexpert Canadian Legal Directory as a leading practitioner consistently recommended in Professional Liability (2011-2012). Christine is a partner in the Toronto office of Borden Ladner Gervais, pracising civil litigation with an emphasis on insurance defence work in professional negligence, personal injury, municipal liability, police liability, products liability and property and casualty insurance. Christine also practices commercial litigation and real estate related litigation. She has extensive experience in the adversarial litigation process, including appearances at all levels of trial and appellate courts, as well as with alternative dispute resolution. She has edited an authored various legal publications and is a frequently presenter on occupiers' liability, professional negligence, life and disability policies and personal injury matter. he Law Society of Upper Canada and the Canadian Bar Association in both civil litigation and immigration matters. Ian is a founding partner of Hull & Hull. He is a Certified Specialist in Estates and Trusts Law and Civil , as well as a mediator. He is a member of several international estates lawyer associations. Ian is a lecturer at the Ontario Bar Admission Course and guest lecturer for the Canadian Bar Association and the Law Society of Upper Canada. Ian is frequent lecturer and the author of numerous articles and four books on estate law issues. Michael is a partner in Kestenberg Siegal Lipkus and an experienced and successful litigator who practices in the areas of commercial litigation, insurance defence litigation, insolvency law and secured transactions litigation with an emphasis on bank collections, mortgage recovery actions and professional negligence insurance defence matters. He has vast experience on mediations, trials and appeals. As well as being a tireless charity volunteer, MIchael is an avid skier, hiker, biker and devoted husband, father and grandfather. Alexandra Lev-Farrell is a lawyer practicing in the area of commercial litigation including commercial tenancies litigation; various land-based disputes; corporate and partnership disputes; contract disputes and employment/wrongful dismissal. Advocacy experience includes Motions, Applications, Trials and Appeals to the Court of Appeal. Extensive experience with alternative dispute resolution including Mediations and Arbitrations. In her commercial tenancies practice, Ms. Lev-Farrell acts for a number of large, mid-size and small landlords advising on lease default remedies; interpretation of various lease clauses; CCAA and bankruptcy proceedings; and all other disputes concerning the landlord and tenant relationship. Ms. Lev-Farrell has written articles in the area of commercial landlords' remedies for The Canadian Institute and the National Creditor Debtor Review, and is a regular contributor to Debtor/Creditor Canadian Forms & Precedents (Commercial Landlords' Remedies). Affiliations include the Advocates Society, the Canadian Bar Association and Metro Toronto Lawyers Association. Peter is the principal of P. Macaulay & Associates Inc., a forensic accounting firm. Prior to founding P. Macaulay & Associates Inc. he worked in the forensic accounting practice at Deloitte & Touche LLP. In addition to his specialist designation as at CA•IFA from the CICA, he holds an MBA from the Ivey School of Business at the University of Western Ontario. He currently serves on the Board of Directors of the Ontario Expropriation Association. His favourite recreational activities include competitive sailing and white-water canoeing. Andy was educated at Queen’s University (B.A., 1978), University of Windsor (LL.B., 1981) and New York University (LL.M., 1982, with academic distinction). Andrew was called to the Bar in Ontario in 1984 and has throughout practised in the defence of insured interests and in the defence of insurers. Andrew is peer-rated by the Financial Post as one of The Best Lawyers in Canada, and has been named by Lawday as one of the Top 40 Insurance Lawyers in Canada. Andrew is rated by LEXPERT Canada as “Repeatedly Recommended” in the areas of Commercial Insurance Litigation and Professional Liability. Andy is a founding partner of O’Donnell, Robertson & Sanfilippo. Sandra is a partner of Torkin Manes LLP. She obtained her LLB from Osgoode Hall Law School in 1978 and was called to the Ontario Bar in 1980. Her practice has focused exclusively on civil litigation for more than 25 years. In addition to her ongoing insurance practice, Sandra has concentrated extensively on commercial and real estate litigation. She has extensive experience before various administrative tribunals and the courts at both trial and appellate levels, as well as in alternative dispute resolution settings of mediations and arbitrations. She has been an instructor of the Bar Admission Course in Risk Management and participated as a lecturer in continuing legal education programs in professional liability. She currently teaches Trial Advocacy at Queen's University, Faculty of Law. Gavin is a partner with Gardiner Roberts LLP and a certified specialist in civil litigation. He is often retained by major financial institutions, multinational corporations and other lawyers as trial and appellate counsel in contested and complex litigation. Gavin also acts as counsel to clients in mediations and other forms of alternative dispute resolution. In addition to general commercial and insolvency litigation, Gavin's diverse practice focuses on professional liability and particularly on litigation relating to securities matters and lawyers negligence. Mr. Tighe has also successfully represented clients on some of the leading cases in the areas of corporate restructuring, municipal conflict of interest, adverse possession of real property in addition to numerous other areas of law. 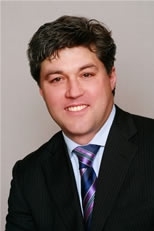 Leigh is a founding partner at BYLD LLP and was admitted to the Bar of Ontario in 1987. He holds a B.A. degree with very high distinction (1982) and LLB degree (1985), both from the University of Toronto. Since his call to the Bar, he has practiced all facets of commercial litigation, with a particular emphasis in the areas of real estate litigation, construction, professional insurance and shareholder's disputes. Mr. Youd is an accomplished advocate with a number of reported decisions both at the Trial and Appellate levels. Mr. Youd is a member of the Canadian Bar Association, the Toronto Lawyers Association and the Advocates Society.